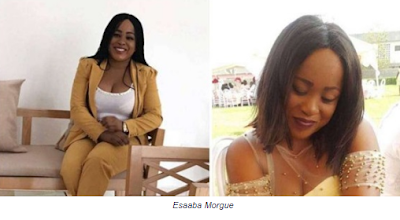 A beautiful banker, Esaaba Morgue has reportedly died on her wedding day. The woman reportedly died in her sleep, leaving her family, friends and loved ones in shock. 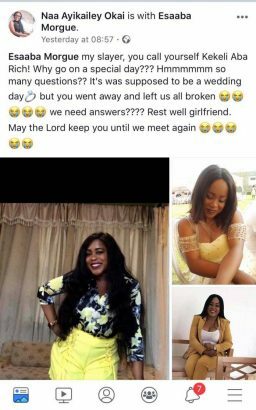 Esaaba was to get married to the love of her life on Saturday before the tragic incident.